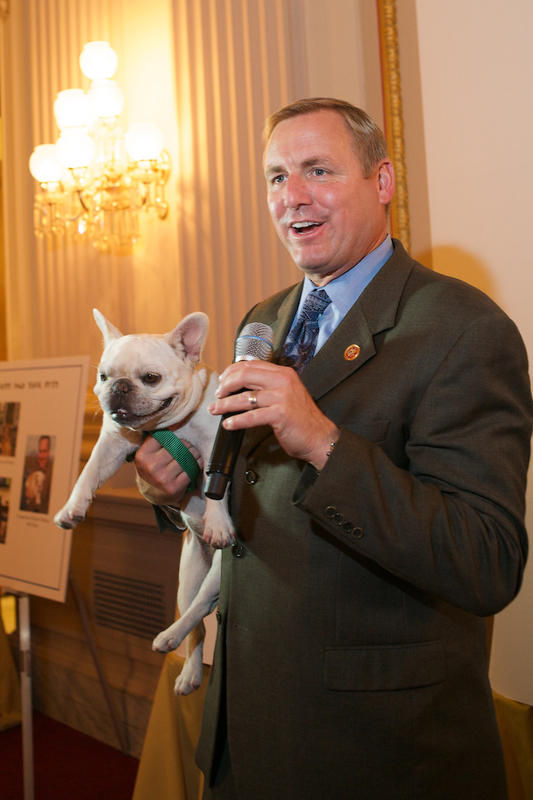 Last night at the Cannon Caucus Room, the Animal Health Institute announced the winners of its Cutest Pets competition (for which FishbowlDC editor Nick Massella served as a judge) at AHI’s Pet Night on Capitol Hill. 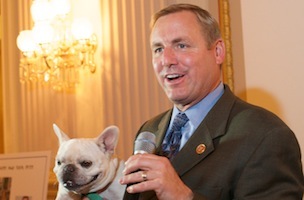 Winners hailed from the offices of Sen. Boxer, Rep. Mike Honda, and Sen. Warren and were “unveiled” by Rep. Jeff Denham’s (R-CA) dog “Lily,” a 2013 winner. Hundreds packed into the room for one of Capitol Hill’s favorite annual events and posed for pictures with celebrity pets including Marti, who plays “Sandy” in the upcoming remake of “Annie” and Orion, who plays “Buttercup” in “The Hunger Games” (Rumor has it Jennifer Lawrence actually likes the fluffy cat…and there are actually two of them. Kinda like the Olsen Twins.). In attendance: Story Partner’s Trudi Boyd, Amos Snead, Lauren Culbertson, Jen Voss, and Elyse Petroni, Rep. Kurt Schrader (D-OR), Rep. Ted Yoho (R-FL), Rep. Dina Titus (D-NV), Rep. Ileana Ros-Lehtinen (R-FL), Rep. Tim Bishop (D-NY), Rep. Jeff Denham (R-CA), AHI’s Ron Phillips and Rich Carnevale.